A premium hand-crafted cleanser naturally rich in antioxidants and moisture to keep baby skin healthy. 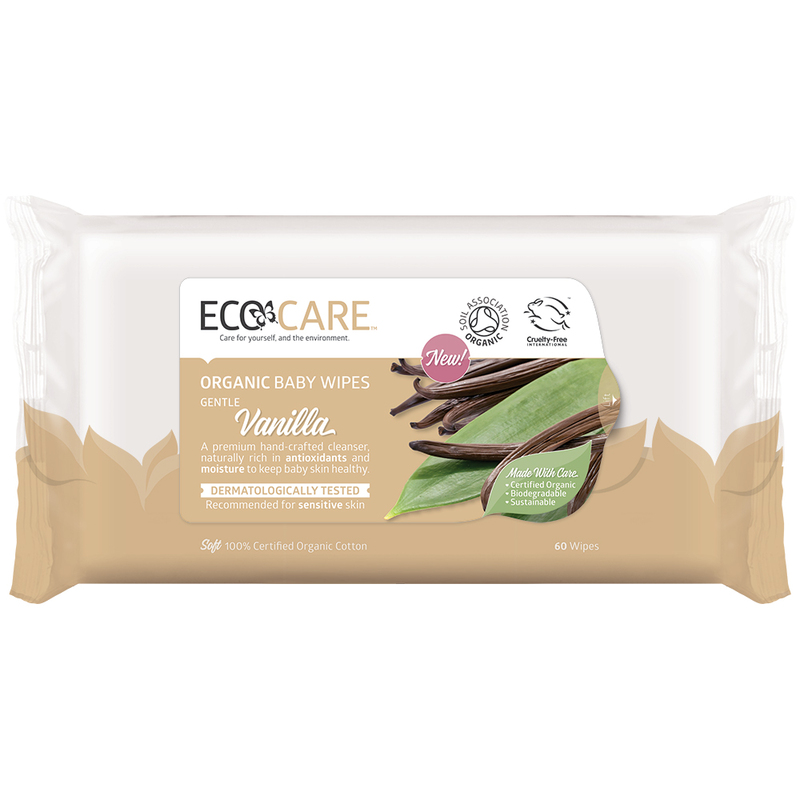 These Certified Organic wipes are specially crafted to leave your baby’s skin feeling clean and luxurious. 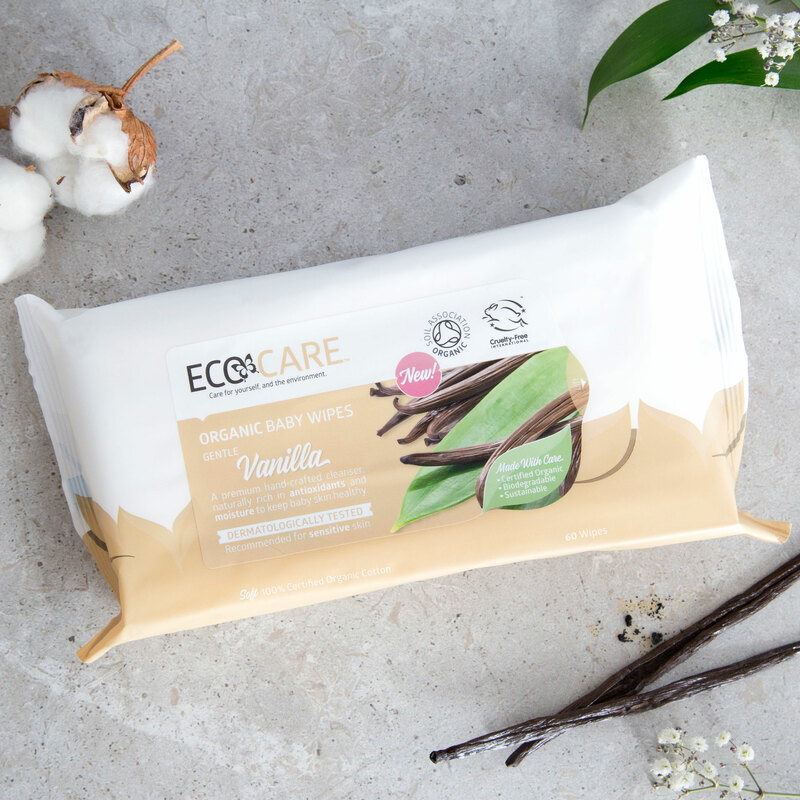 Premium vanilla extract provides a divine natural aroma, and benefits for the skin from antioxidants and anti-inflammatory properties. 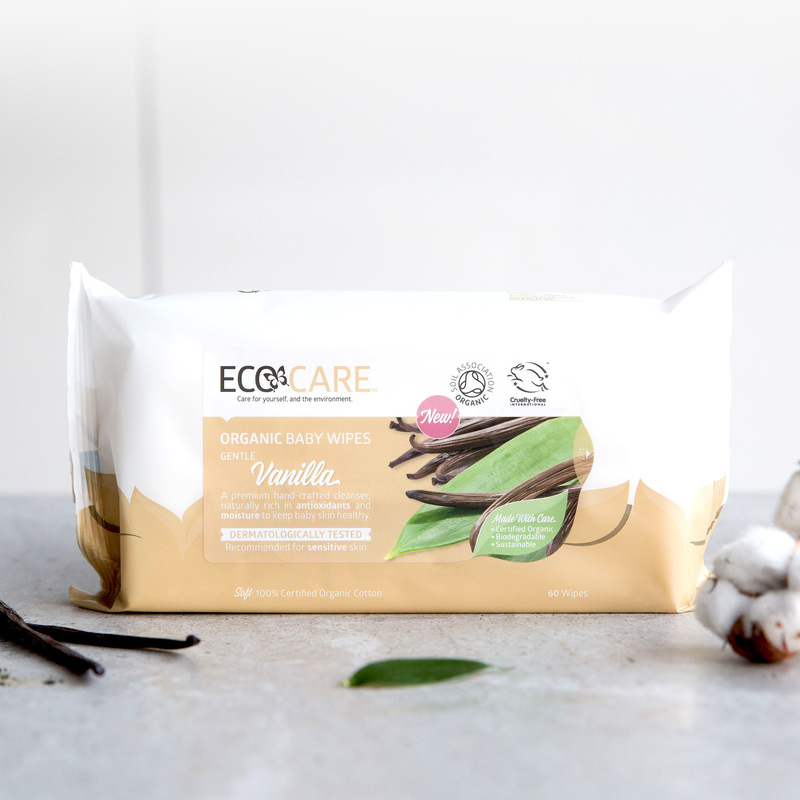 We added goodness from aloe vera and marshmallow for moisture and nutrients. 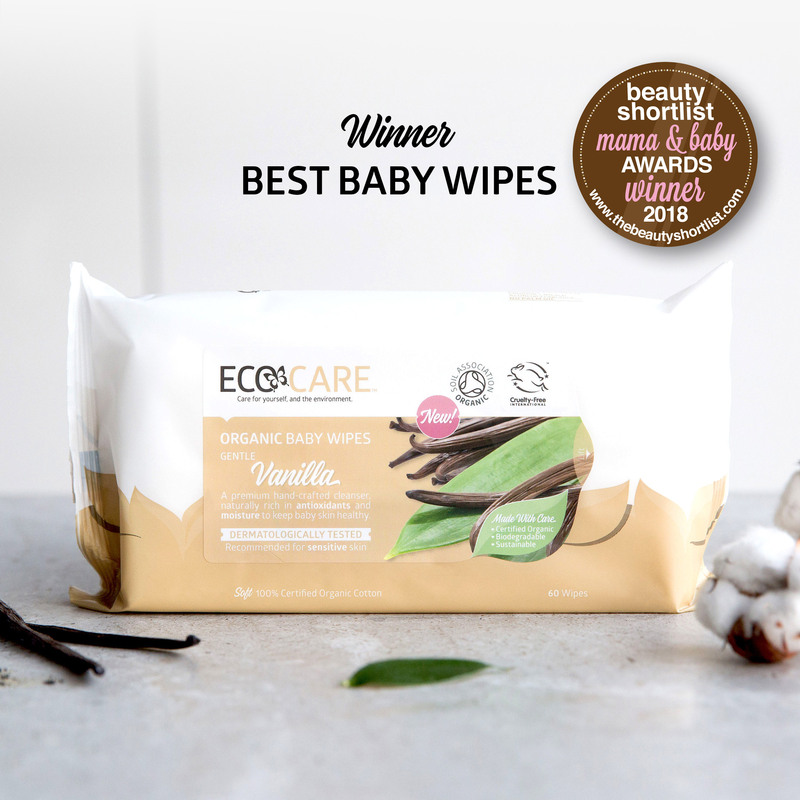 Each wipe is powerful, yet gentle enough to nurture sensitive skin. 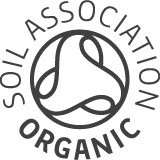 We use the finest Certified Organic Cotton. 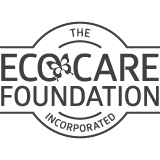 It’s naturally grown, biodegradable and sustainable, making ECOCARE® wipes soft on your skin and the environment. 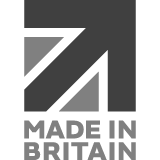 Our Cardia Biohybrid™ package, uses renewable content, less plastic and less oil. A wiser choice for the earth. 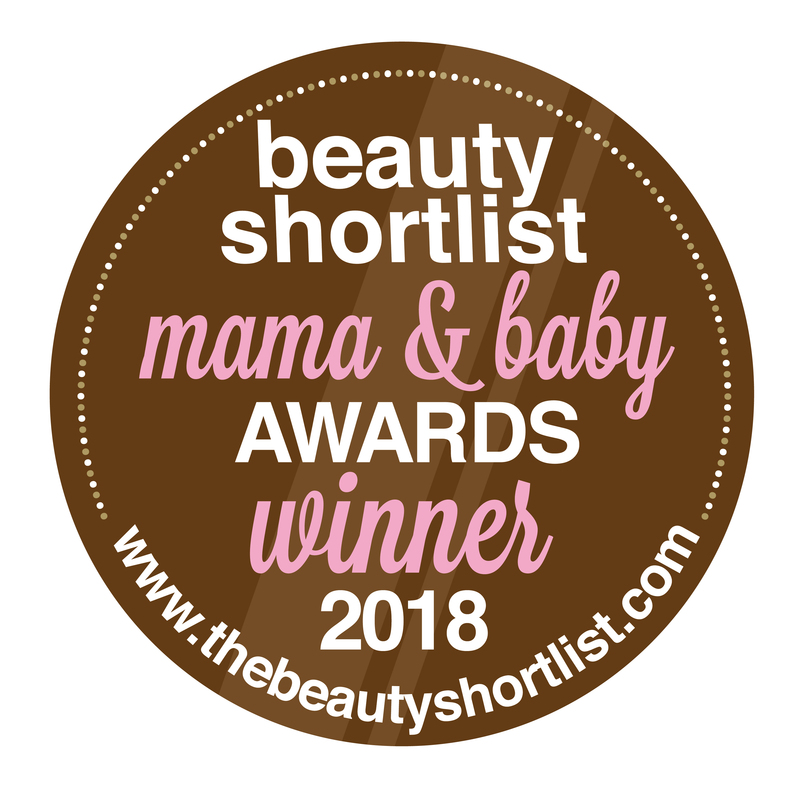 We’ve been awarded the Best Baby Wipes 2018 by The Beauty Shortlist! Aqua (Water), Aloe Barbadensis (Aloe Vera) Leaf Juice Powder*, Sodium Levulinate, Sodium Benzoate, Vanilla Planifolia (Vanilla) Fruit Extract*, Potassium Sorbate, Disodium Cocoamphodiacetate, Citric Acid, Glycerin^, Sodium Chloride, Althaea Officinalis (Marshmallow) Leaf Extract*. 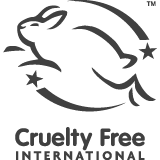 We don’t test on animals, they’re our friends. Vegan. No Palm Oil.